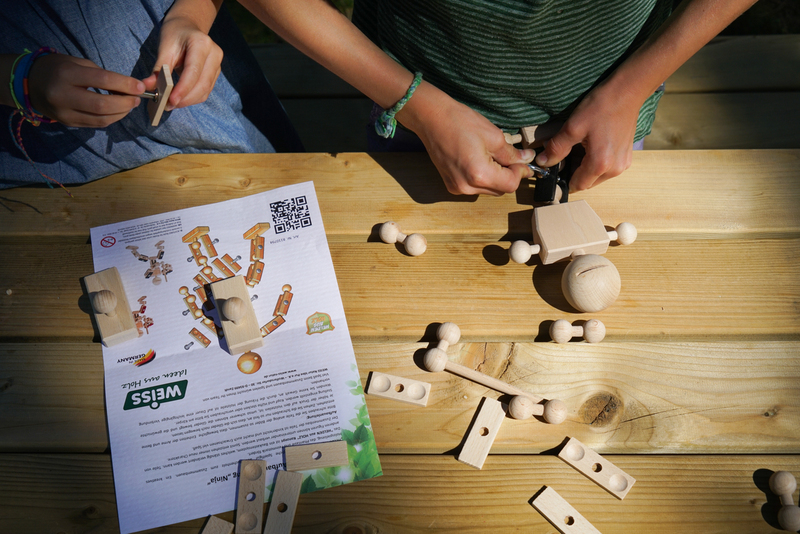 Over the summer my children received this cool wooden ninja construction kit, available from one of my favourite toys & crafts shops, Conscious Craft. It was a curious little package — a box full of wooden construction pieces, steel bolts, and allen keys. Thankfully a clear instruction leaflet was included, or otherwise we would have been lost. 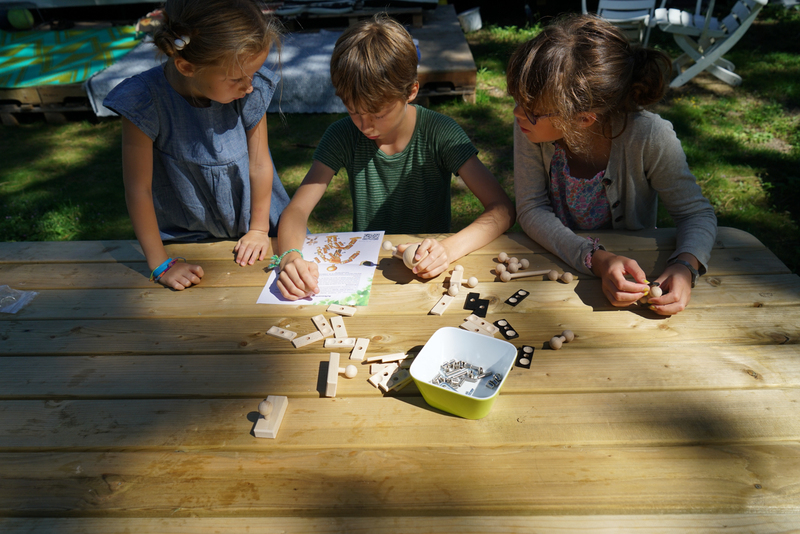 Because DIY kits aimed at children are usually super easy to put together (I guess because it is assumed that a child’s attention span doesn’t reach longer than a very short period), the children thought they could handle building the warrior all by themselves. 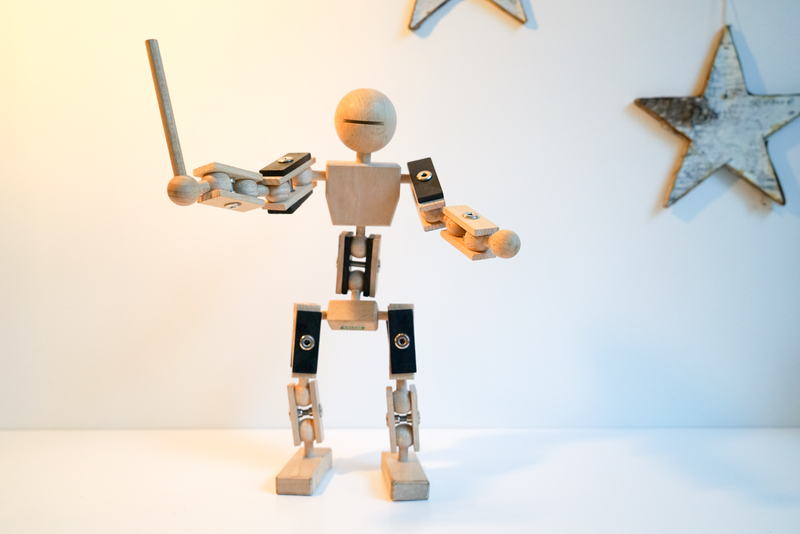 But this wooden warrior was for from easy to put together! 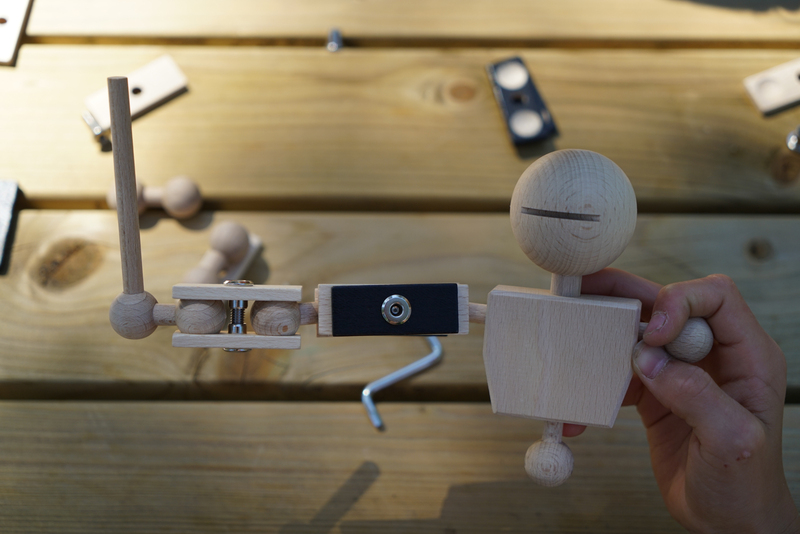 They needed to focus hard on selecting the right piece for the right limb, and they also needed each other’s help to keep the wooden pieces in place when using the two allen keys to secure the bolts. 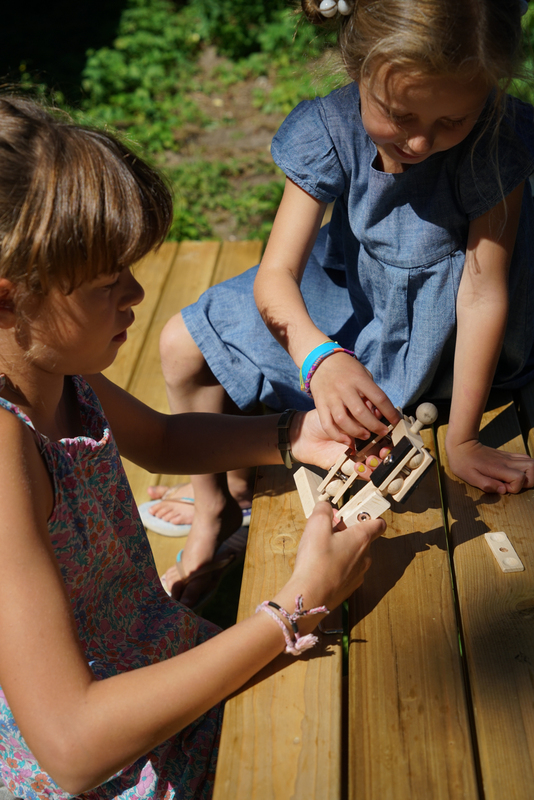 The fact that assembling the warrior took insight and skill, and they needed to work together to assemble it, made it a fun and challenging activity and made them extra proud of the result — a fearsome warrior that makes a very cool toy. A fun gift for older children (adult assistance is probably needed).